I'm hoping some of us nerds can figure out together how to access CAN data in the Model 3. I haven't found much information other than the existence of a diagnostic port hidden somewhere unknown. It also sounds like it will be ethernet with CAN embedded on another layer of data. I'm hoping to figure all of this out and eventually make something that can grab useful data, maybe even output data to a geek display (dare I say HUD?). It should be possible. Now that my 3 is almost here I will finally have a patient to operate on. Does anyone have any knowledge of this or come across other useful information that they can share? It's been a while since I read up on them, but over on TMC there are some very techy threads, a couple of the guys that had totally hacked their S are over there, Tesla is on top of their stuff. The security key's, VPN's used, back and forth communication. It's quite impressive. Not to say it can't be done, but most every time he would get close Tesla would shut the door on him. To be clear, I'm talking about the in-vehicle wired data networks, not the cellular or wifi data. I have plenty of CAN interfaces and software including Vector which work great if there is a physical CAN bus, but I was figuring the model 3 has moved everything over to Ethernet which I'm not sure how to interface with yet. The digging will start soon! They have that big screen on board, with some password that opens a maintenance menu, I would think the CAN bus is obsolete? 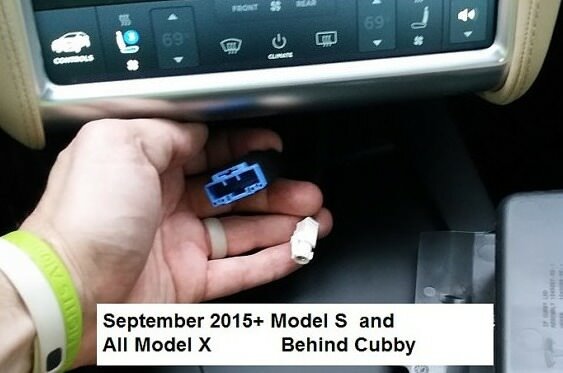 I'm using 'Scan my Tesla' & 'TM-Spy' on my 2017 X via an ODBLink LX bluetooth adapter and custom cable I bought on Etsy. We did a fair bit of CAN capturing with the car while we were down there and have decoded a lot of the common messages. There are some similarities to the Model S so we were able to get a head start on that a little bit. We had both analog signal coming from the M1 (shock pots, accelerometer, GPS), as well as a number of CAN signals. Q: How are you tying into the CAN bus on the 3? I know those exist and connection is relatively easy and documented on the X and the S. But I thought the Model 3 had a new network system that might add an additional network layer before you get to the can data. It's somewhat strange no one has definitively posted it anywhere. I just noticed @Sasha Anis of Mountain Pass is here on M3OC...maybe they can lend some extra details. The car has CAN absolutely! You can find them by looking under the driver-side kick panel. Just look for twisted pairs in the harness and start poking at them with your vector scanner. If its CAN it'll be throwing messages at you at 500kbps! That's all we'll say for now, I hope it is helpful! Thanks! And it looks like I'll have a specimen in a few days to try it on! Now if only I could find a DBC file around somewhere. I should know more in the next week or so. I'm trying to probe around and find some CAN. The red and orange twisted pair are easily accessible in the blue connector, and I see some kind of data signal there, but it's almost as if the bits are RF modulated (see below). Scope can't decode anything with any protocol, tried ground reference and across the pair. The only other twisted pair I see is the extremely thin blue and white wires, can't find where they terminate yet to probe them. You know how it goes after you take a break after hours and go back to realize there is an exposed white diagnostics connector upside-down on the ceiling right above the dead pedal. Impossible to stick wires into so I could only hold them making it difficult to manipulate the scope, but this is much more obviously CAN data. There are two pairs, two CAN busses going to the four forward-most pins, the pin closes to the driver is not connected. Great news that it is a plug-and-play connector. But need to identify part and order a plug to make an interface. I thought that was rumored to be a broadr reach interface that aggregates the can bus data? We had previously theorized that, and maybe it is used throughout the car, but certain folks have verified standard CAN data access. I'll continue to work on it while I have time. Have you thought about connecting female leads to the pins individually? This will be one of the first things I will do to try and connect one of the OBD2 Bluetooth parts. Not as elegant as having the mystery Sumitomo connector but at least you wouldn't have to hold probes. If you do, let me know what size you use. I'll be pleasantly surprised if you don't need a BroadR interface. Looking at the EDR cable I am cautiously optimistic.